Twitter Inc executive Kathy Chen, who courted potential Chinese advertisers for the social media platform, announced her departure from the company in a tweet on Saturday. 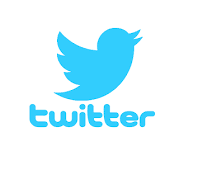 Twitter grew its Greater China advertiser base nearly 400 per cent over the past two years, she wrote, making it one of the company's fastest growing revenue markets in Asia Pacific. Twitter, which has been under pressure to post profits, said in October it would cut 9 per cent of its global workforce to keep costs down. Parminder Singh, the former managing director for Twitter in India and the Middle East, left the company in early November.